On the eve of its departure, the Regional Assistance Mission to Solomon Islands (RAMSI) has donated $61,000 worth of sports equipment to 17 schools, sports clubs, community, youth and women groups and organisations representing people with disabilities throughout the country. “We were moved by the number of applications for the RAMSI Farewell sports grant and the wonderful community leaders looking to support young people. As a result, we almost doubled the total number of winners,” said Quinton Devlin, RAMSI Special Coordinator. “RAMSI felt the grants were a fitting parting gift to the future generation of Solomon Islands. Sport is an excellent way to learn life skills and to stay away from the evils of alcohol abuse, kwaso, marijuana and other dangerous substances,” said Mr Devlin. “With Solomon Islands hosting the Pacific Games in 2023, maybe some of the boys and girls that are benefiting from the RAMSI Farewell sports grants may go on to represent their country in the Games. That would be amazing,” he said. One of the recipients of the sports grant is the Solomon Islands Deaf Association in Honiara. 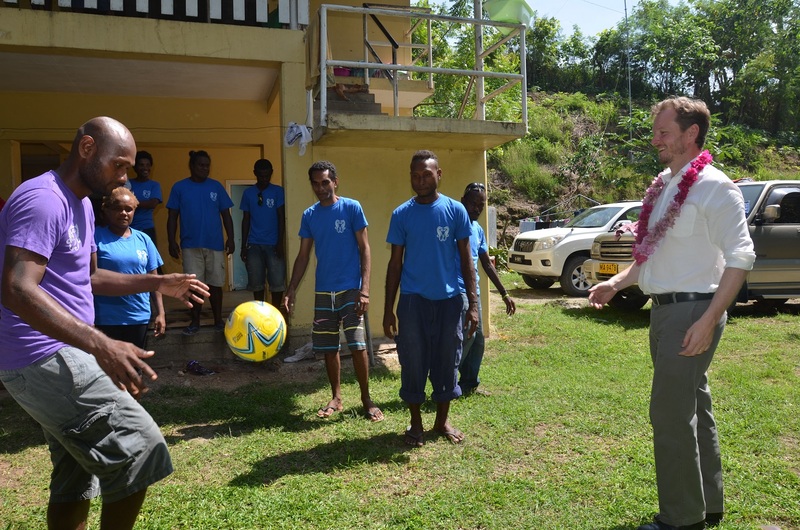 On receiving the sports equipment during a brief ceremony in Honiara on 8 June, President of the Deaf Association, Ali Kanafalu thanked RAMSI for the sports grant. “Thank you so much to RAMSI for the farewell sports grant. It is really timely for us. This is the first ever gift we have received to assist us with our training for the Australian Deaf Games to be held in January 2018. The sports equipment will really help us,” said Mr Kanafalu. RAMSI ends on 30 June 2017, having completed its mission of restoring law and order, stabilising the country’s finances and re-setting the nation’s institutions. After an extra four years of support from the Participating Police Force, the Royal Solomon Islands Police Force is ready to take full responsibility for policing and national security.